Kentucky State University recently announced Rev. 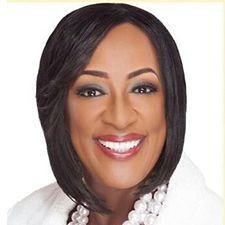 Dr. Gwendolyn Boyd, the 22nd National President of Delta Sigma Theta Sorority Inc., will deliver the keynote address at the 2019 Spring Commencement Convocation Friday, May 10 at 9 a.m. in the William Exum Center Gymnasium. Boyd is an engineer and is described as a dynamic and relevant leader, a prolific motivational speaker, a powerful preacher and an advocate of STEM education. From 200o to 2004, Boyd served as the 22nd National President of Delta Sigma Theta Sorority Inc., an international organization of more than 250,000 members. Boyd helped establish technology in all facets of the sorority’s activities. Boyd’s tenure also included the launch of Project SEE (Science in Every Experience), a $1.6 million initiative designed to promote math and science for middle school African American girls, funded by a National Science Foundation grant. Boyd’s career at the John Hopkins University Applied Physics laboratory spans more than three decades. In 2014, Boyd returned to Alabama State University, her alma mater, to serve as the 14th and first female president. While leading Alabama State University, Boyd implemented the institution’s first engineering degree program. Other accomplishments while at Alabama State included removing the institution from SACSCOC warning status from previous financial instability and recruiting the largest freshman class in the institution’s history. Boyd was nominated by President Barack Obama and received U.S. Senate confirmation to serve as a trustee to the Barry M. Goldwater Scholarship and Excellence in Education Foundation in 2009. Boyd later served on the President’s Advisory Commission on Education Excellence for African Americans in 2014. Boyd is also an ordained itinerant elder in the African American Methodist Episcopal Church and serves on the ministerial staff of Ebenezer AME Church in Fort Washington, Maryland. Boyd earned a Bachelor of Science from Alabama State University with a major in mathematics and a double minor in physics and music. Boyd received a fellowship and was the first African American female to earn a Master of Science in mechanical engineering from Yale University. Boyd earned a Master of Divinity and a Doctor of Ministry from Howard University.